This entry was posted in books and tagged 5 stars, Daphne du Maurier, gothic horror, Halloween, Halloween reads, holiday reads, suspense. Bookmark the permalink. I read both Rebecca and We Have Always Lived in the Castle over the summer, and I adored both. Jackson is a master of the novella and DuMaurier was certainly a master of the novel. I thought both works were “just right” in length. Can’t wait to find out what you think of Castle! Yes! They are just the right length. So far I’m enjoying Castle. I can’t rave about Rebecca quite as much as you and Andi, although I did enjoy it. There was something about it that kept me at arm’s length – maybe I couldn’t believe enough of it? Or care enough? I wonder if it was the iciness of the book that held you at arm’s length. Oh, well. One of the fun things about books is the fact that we don’t have to all agree and like the same one. 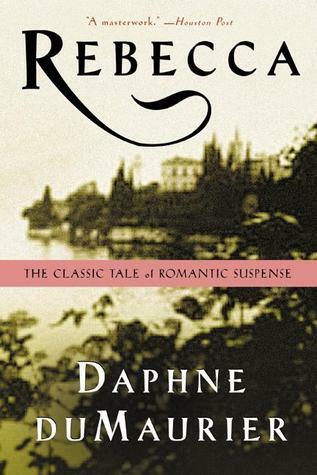 I’m going to add My Cousin Rachel to my to read list. You make it sound like it could be a winner!